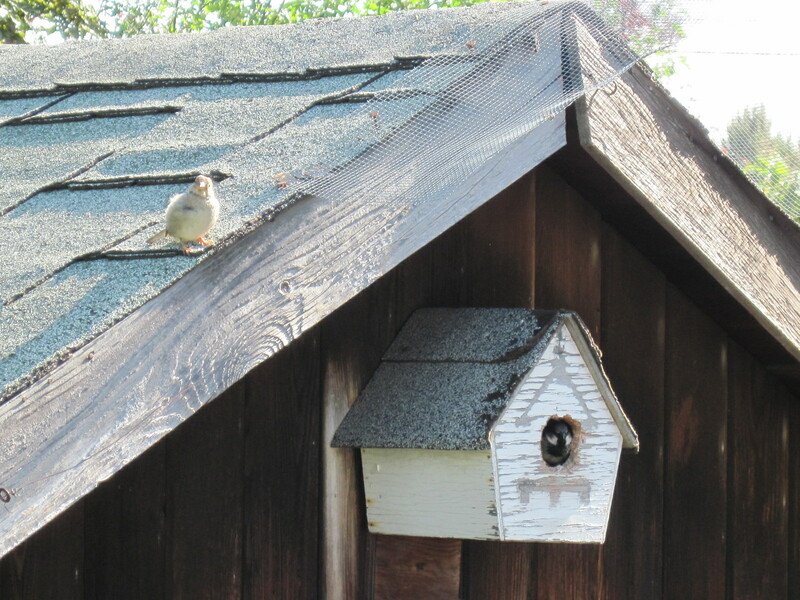 A pair of house sparrows moved into this birdhouse which had been unoccupied for years. Even though they’re the most common of birds, it’s nice to see them coming and going. I think they have since launched a gang of young birds. 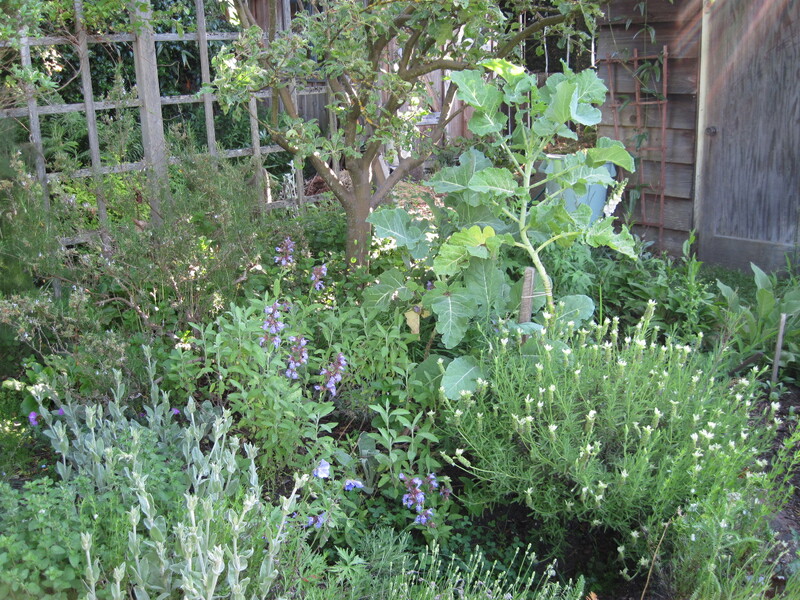 The ex-vegetable patch, now evolving into something else, looks deceptively lush, with an old kale plant rising above lavender and sage. 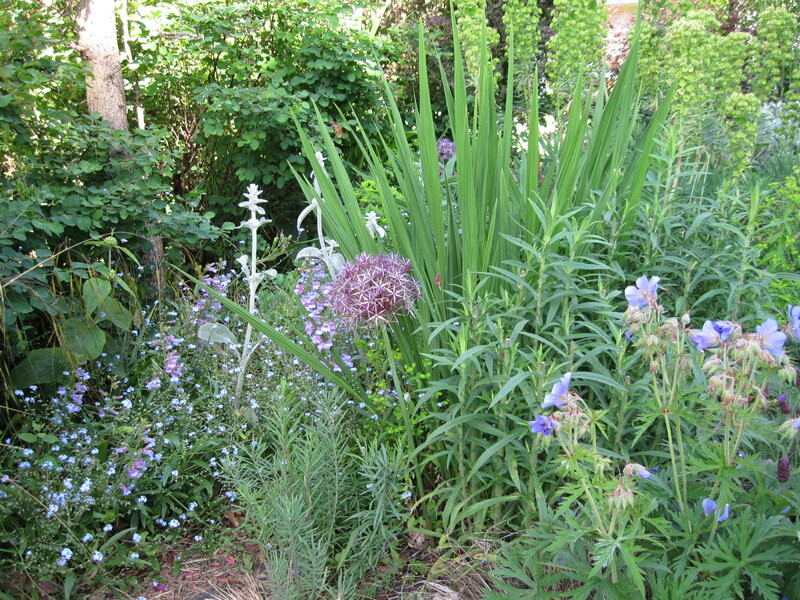 More lushness and promise in the front garden at the beginning of June, with forget-me-nots hanging on, Allium christophii, a blue hardy geranium, and foliage of asters and crocosmia. Euphorbia “Humpty Dumpty” in the background. 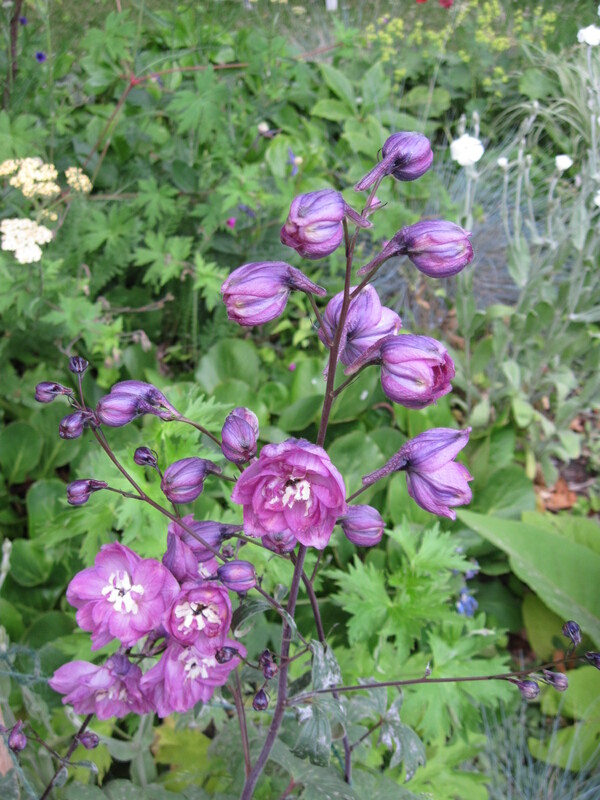 The murky pink of an unfolding delphinium is a contrast to the unsubtle orange of a lily. 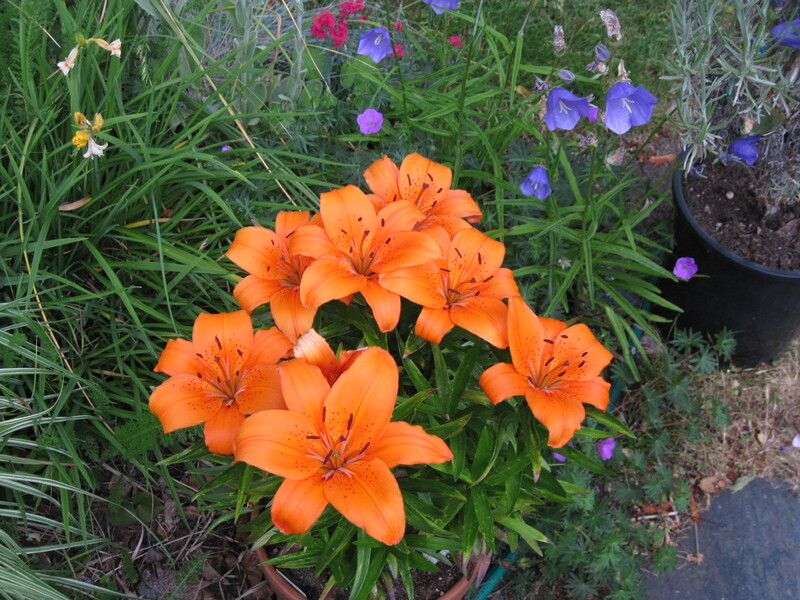 Both grow in pots. Mulleins have gone from phallic to torch-like, although this one looks like it has an attitude. Note the hose snaking along the path. It hasn’t really rained since May 8, so watering with sprinklers is necessary. 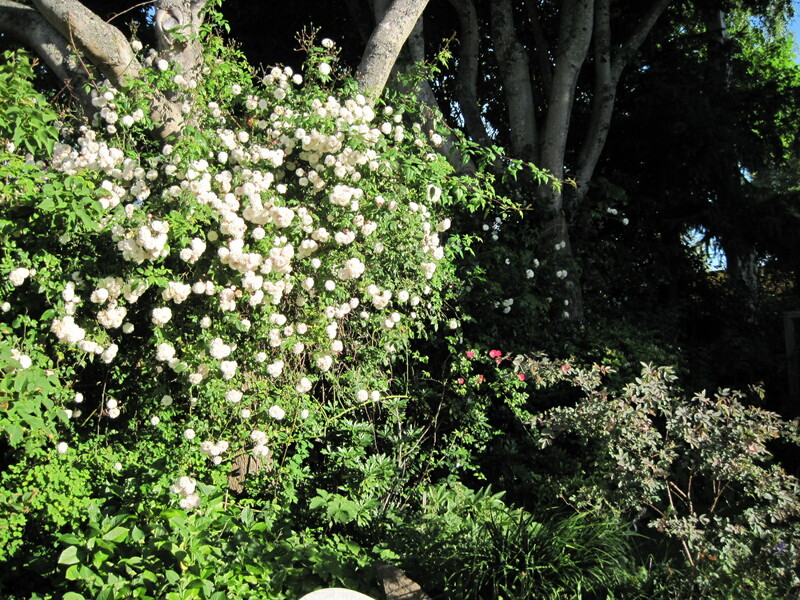 The ever-reliable climbing rose, whose name I don’t know, is in full bloom. 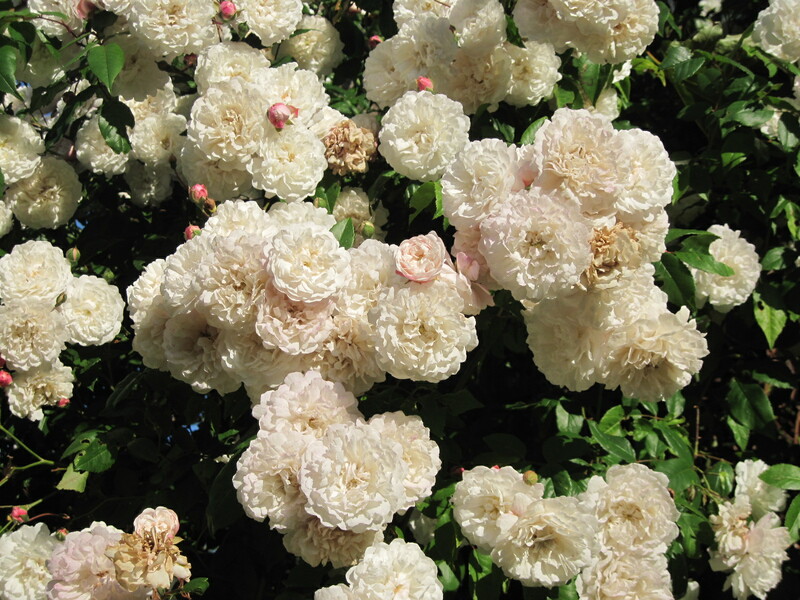 There are a few buds left to open, but you can see the very first flowers browning off. 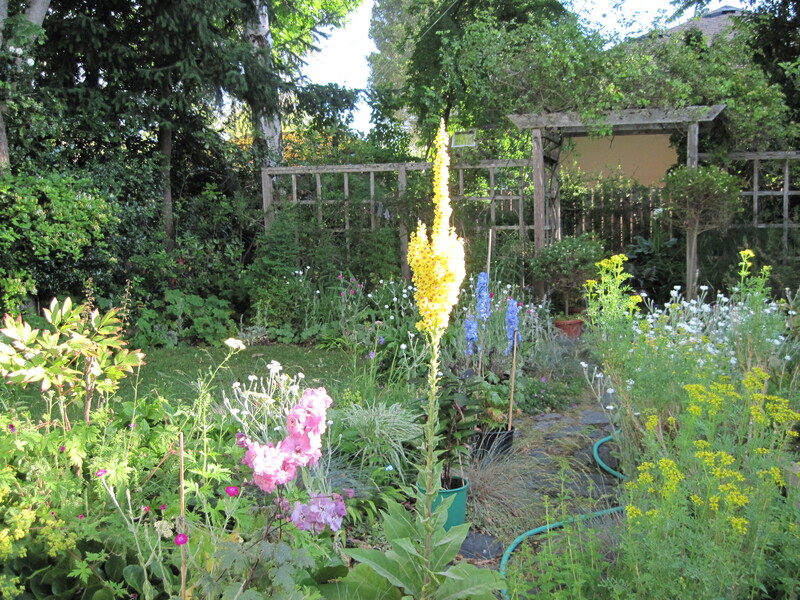 I’m always amazed that this plant blooms so well, since it’s planted right next to one of the Norway maples (whose presence is partly justified because it supports the rose). 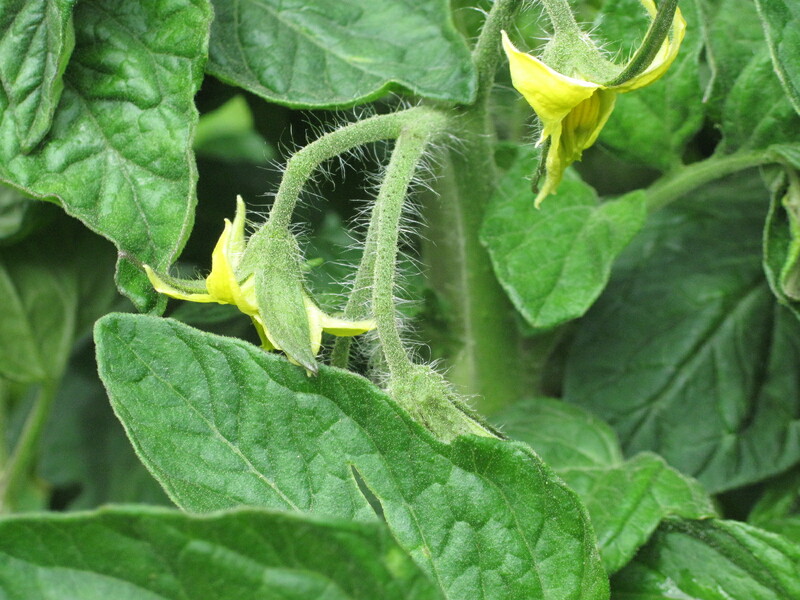 The tomato plants are starting to bloom, so maybe there will be a few tomatoes by September. 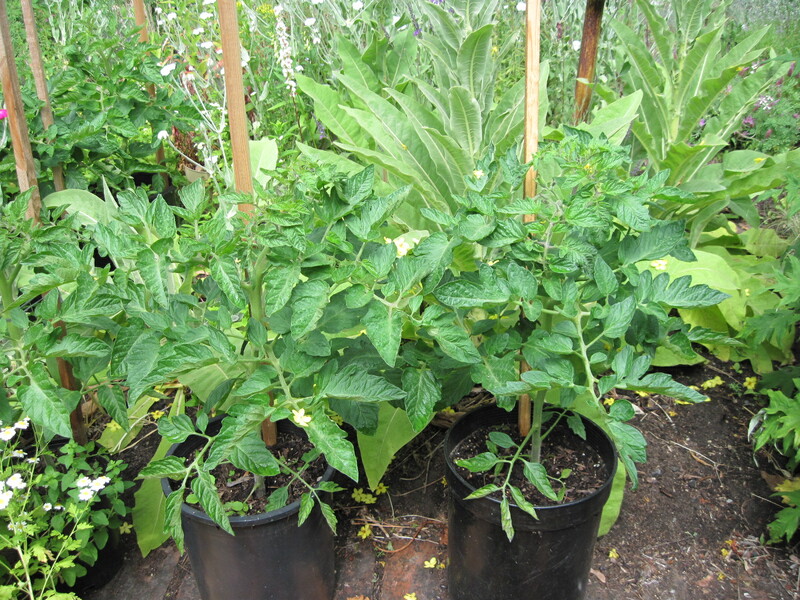 Growing in pots, they are dwarfed specimens, but would do worse in the dry, rooty soil of the garden.